1 What is a Backpack Sprayer? There is no question that gardening can be an enjoyable experience. Carefully planting and caring for your lawn, plants, trees and even vegetables can be rewarding. However, to ensure your plants and lawn remain healthy, you have to maintain the space. Without the right tools, this can be quite time-consuming. 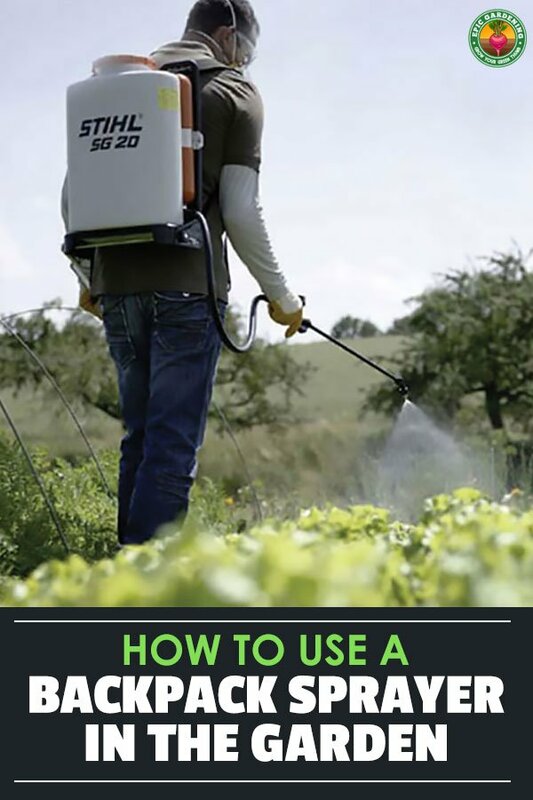 With a quality backpack sprayer, you can keep your garden free from pest infestations with a quick and easy method of applying insecticides, pesticides, herbicides and fertilizer. If you’re like many homeowners, you don’t have the time to put into researching the best backpack sprayer. If that’s the case and you’re short on time, here’s a look at the five weed sprayers we included in our top 5 list. Each of these is a great product that will help you take care of your yard while reducing the stress on your back. HD Hudson Hudson 97154 SP1 Multi-Purpose Professional Bak-Pak Sprayer, 47"
Anyone who spends time in their yard or wants to ensure their outside space remains healthy and weed free needs a backpack sprayer. The fact is, this is quite a versatile tool. In addition to providing you an efficient and fast way to stay on top of your gardening maintenance tasks, these sprayers can also be used for various household tasks, such as cleaning your home, boat or car, or even applying a new layer of varnish to your deck. It can apply fertilizer to small spaces or treat a large area of plants quickly. Backpack sprayers offer you a modern and no-mess, no-hassle approach to household maintenance and gardening tasks. This tool lets you apply pesticides or fertilizers quickly and avoids having to touch the chemical or undergo an in-depth cleanup process when you are done. Tank: Typically made of polyethylene plastic, the tanks are resistant to chemicals, UV protected and durable. The most important aspect of your tank is that it does not leak. Works by pulling liquid out of the tank and sending it into the pressurized tank, where it is held until you squeeze the lever on the wand. The elongated shaft that lets you channel the liquid and spray it where you need it to go. You’ll want to make sure it fits comfortably in your hand, and the spray handle works easily. This determines the pattern and flow of the spray, and most sprayers come with several types of nozzles. This will allow you to use the sprayer for a variety of applications, from a wide sweeping spray to more pinpointed streams for edges and such. Since a backpack sprayer is designed to be wearable, there is a harness or straps attached that fit over your shoulders and chest to ensure the weight is distributed evenly. This is one of the biggest benefits, as carrying a large pump sprayer can become extremely tiring and cumbersome. The majority of backpack sprayers can reach between 15 and 95 psi of pressure. However, there are commercial grade options that can provide up to 150 psi. The pressure delivered is going to vary from one model to another, and one of the most important things to remember is that the pressure inside the tank will remain consistent and the liquid will spray continually until the trigger on the wand is released. Another important thing to keep in mind is that, depending on the type of unit used, the pressure is going to decrease gradually as the tank becomes empty. In addition to the basic components listed above, backpack sprayers are either operated by a diaphragm or piston pump. The piston pump sprayers are easy to recognize because they use an up and down motion and have a chamber located inside the tank. They typically provide good pressure, approximately 90 psi. When the lever is pumped, it creates the pressure, forcing the liquid into the wand so you can spray what you need to disperse. This type of sprayer is more affordable, but they are not suited for use with extremely abrasive chemicals, since these types of chemicals may destroy the piston. A diaphragm sprayer is usually the more costly option and works in a similar way to piston pumps, without the internal cylinder. The pumping of the handle will move the diaphragm and create the pressure. These sprayers are more resistant to chemicals, and you can use liquids and powders in this type of sprayer. A diaphragm pump provides you with faster pressure when it is needed, but it may require more maintenance. How do you know when to purchase a piston sprayer vs. a diaphragm unit? If you’re doing standard on-ground weed spraying that doesn’t require extremely high psi, a diaphragm unit will work just fine. If you have lattice work or other areas that require overhead spraying, a piston pump will allow you to get the higher pressure you need for an overhead application, more quickly. When it comes to a backpack sprayer’s operation, there are two options – motorized or manual. These are the most common types of backpack sprayers and require that you operate the hand pump. After you pump the handle, the pressurized liquid will be forced into the wand and made ready for spraying. These are affordable but can cause hand fatigue if you are going to be using them for a long period of time. If you have a large space to treat, then using a motorized model that has a powerful battery is going to help you get the job done in a hurry and relieve the pressure from your hands because you won’t have to keep pressure on the handle at all times. Even though these sprayers are going to make the job easier and faster, they are more expensive and heavier and will require more maintenance over time. There are quite a few features offered by modern backpack sprayers that help to reduce cases of fatigue. Some feature adjustable and padded straps or tanks that are contoured providing a better fit. Look at comfort and safety features provided before choosing a backpack sprayer, since this will impact your overall experience with the device. The majority of quality sprayers will have tanks that are made out of high-density polyethylene, with the additional benefit of UV protection. If you are planning on fertilizing or having to handle large pest control jobs, you need a sprayer that won’t leak all over you. Try to find industrial strength hoses with seals that are leak-proof and chemical resistant. The lockable mechanism for shutting off the wand is typically installed on the backpack sprayer handle. This is a feature that can help you easily control the release of the chemicals or liquids and then keep them from dripping if you don’t want them to. A quality harness and shoulder straps can make the home maintenance and gardening chores much easier. While most backpack sprayers are extremely lightweight, they can be much heavier when the tanks are filled up. If you see a sprayer that has adjustable padded waist, chest and shoulder straps, then it will make it more comfortable to wear for extended periods of time. 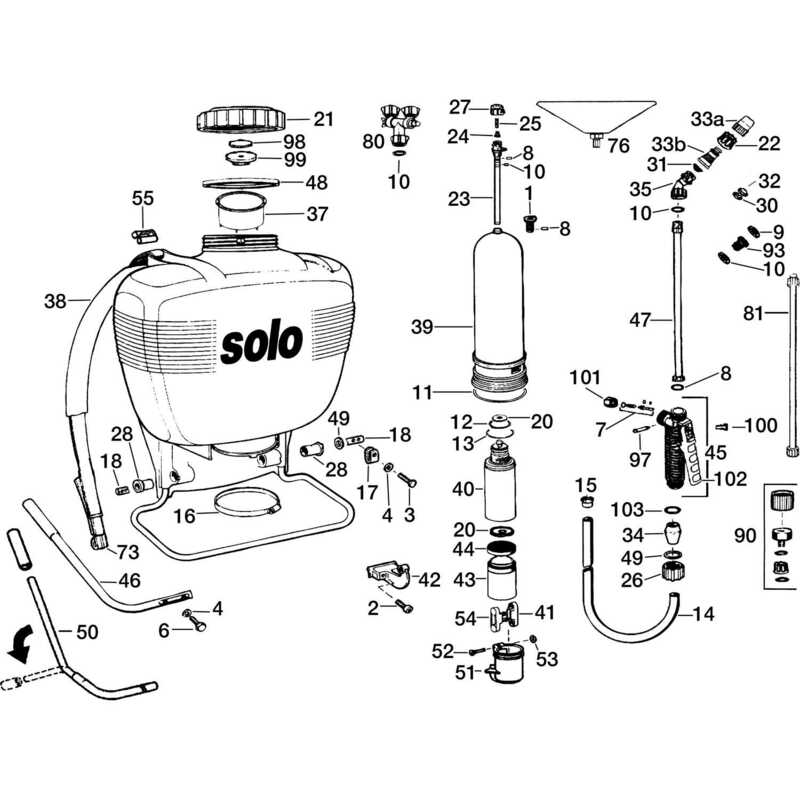 Solo is a long-time US manufacturer of sprayers, with their 4-gallon backpack sprayer being featured on our list. Each sprayer they produce is made from extremely high-density plastic polyurethane, that does a great job of not absorbing any chemicals that you put in it. They boast what they call an “unbreakable wand,” and if something does ever go wrong, there is a full bevy of Solo sprayer replacement parts. 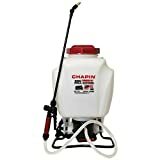 Chapin is another company that started out manufacturing only sprayers, and through the years has moved into other tool lines, such as spreaders for everything from seed, to concrete. They have been producing sprayers since 1884, and they continue to still produce top-notch models such as the Chapin 61900 sprayer. Their models feature best-in-breed filtration that reduces clogging issues greatly. Hudson is a global company, committed to delivering the best sprayers to its customers. The bak pak sprayer model we feature on our list is a great example of how they are leveraging innovation in the field. When you buy a Hudson backpack sprayer, you can be sure you are going to get a smooth operating unit, that is as close to leak-proof as you can find. Smith Performance Sprayers produces commercial-quality equipment for a variety of industries. Their lone focus is on sprayer equipment, and the backpack sprayer line can be found helping with everything from golf courses to graffiti removal. They are a true industry authority. Field King as the name suggests, is a major authority in the agricultural sprayer industry. The Field King backpack sprayer models can take on large jobs in a variety of climates, as they are constructed from top quality sprayer parts that will get the job done for years to come. 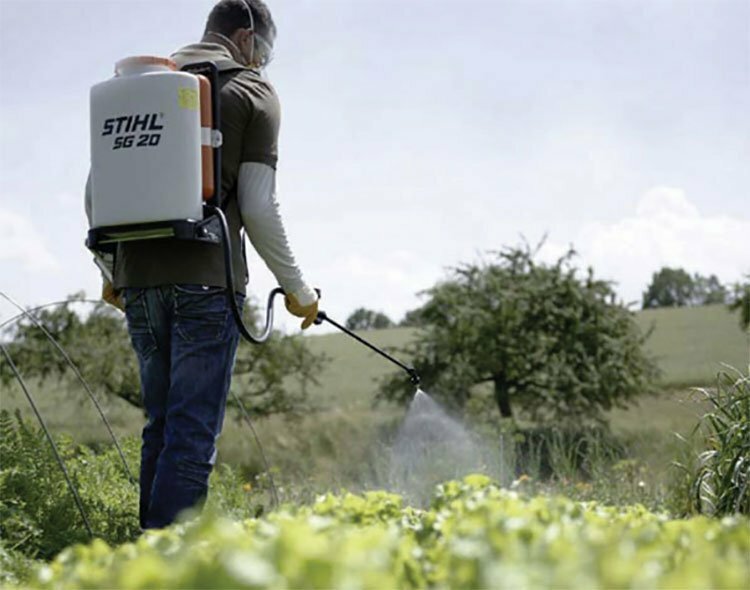 There is no one best backpack sprayer – which you choose will depend on your specific needs in the garden. That being said, here are our picks for the best sprayers for each type of application. If pest invasions are taking over your property, then you need the Hudson Bak-Pak sprayer. This sprayer is ideal for fertilizers, as well as insecticides. This brand is well-known for high-quality products and the diaphragm operated spray is both durable and provides 70 psi of pressure. It is simple to spray and pump. This particular pump is made out of high-quality components and materials ensuring it will last for years to come. Do you need to maintain your vineyard or get rid of pests in your garden? If so, the Chapin sprayer can help you save effort, money and time. It offers a four-gallon tank along with a 20-volt Lithium-ion battery from Black and Decker. This provides you with continuous spraying power for 1.75 hours. The pressure produced by this sprayer is 35 to 40 psi, and it can provide a steady stream for up to 35 feet. The tank is extremely easy to fill, thanks to the extra-wide mouth and the carrying handle is built into the cap. This is an extremely affordable sprayer and offers great quality. It is considered a multi-purpose sprayer that can be used for spraying wooden deck treatments, concrete finishing, herbicides, pesticides, fertilizers, and disinfectants. Regardless of if you are tending to an orchard or just getting rid of unwanted pests in your backyard, this Solo sprayer makes short work of the job at hand. 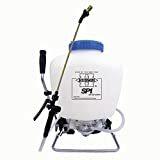 If you are ready to fertilize your entire lawn or garden or want to control pests on your fruit trees, then this backpack sprayer will help you get the job done. It offers a four-gallon capacity and patented pump that provides more than 150 psi of spray. Also, thanks to the integrated pressure regulator, you can spray at a consistent 25 psi, which makes this the perfect sprayer for any medium sized property. It is a diaphragm sprayer, and the internal pressure chamber can create a spray that can reach up to 20 feet high. Home or property owners who have a large outside space to maintain can benefit from purchasing the Smith Performance sprayer. It features a four-gallon tank and can pump up to 150 psi of pressure, providing a high level of comfortability and performance. With this tank, you can take care of any gardening task quickly and effectively. This sprayer has been designed with the highest quality materials, including a stainless tank frame, poly lined stainless steel wand, 50-inch chemical resistant poly hose and a contoured tank. The best backpack sprayer for the money is the Hudson Bak-Pak Multi-Purpose sprayer. This is a commercial-grade, high-performance sprayer that takes the often hard and tedious work out of garden maintenance and pest control. While it uses a manual diaphragm pump to produce the spray, it is extremely easy to use and doesn’t require much effort to create a powerful spray. This option is a workhorse and will help you get your work done quickly. This sprayer is made to be easy to use and features padded straps, making it comfortable to wear for extended periods of time. It is also crafted out of the highest quality components and materials, which means it is guaranteed to last. If you are in the market for a backpack sprayer, make sure to consider the options here. They will provide you with the service you need to make short work of your outdoor area. There is no point in working harder when you can work smarter with the backpack sprayer options listed here. Finding a quality backpack sprayer is going to take time and effort, but with the information here, you should be well on your way to finding several great options that will help you handle the project you have. 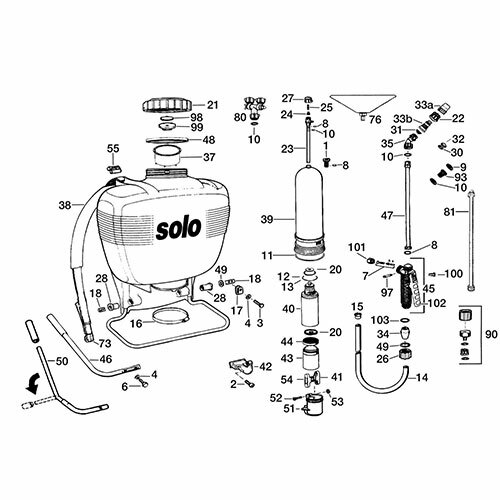 I just purchased the Solo 457 and did not really read the instructions before using. Duh. Now I realize that I overfilled the 2 gallon sprayer by 2-3 quarts and the sprayer won’t spray. I tried pulling the pressure release valve as I think I overpumped too, but to no avail. The company is closed and their email seems to be broken. Can you help with advice? Want to be safe but also want to fertilize my garden! Sorry to hear that! I would try dumping everything, letting it all dry out, and ensuring you haven’t damaged any pieces. Should be fine though. Then, put a little water in and try to pump it out. Do u have any distributor in Uganda. Very welcome! I don’t distribute these products though, sorry!